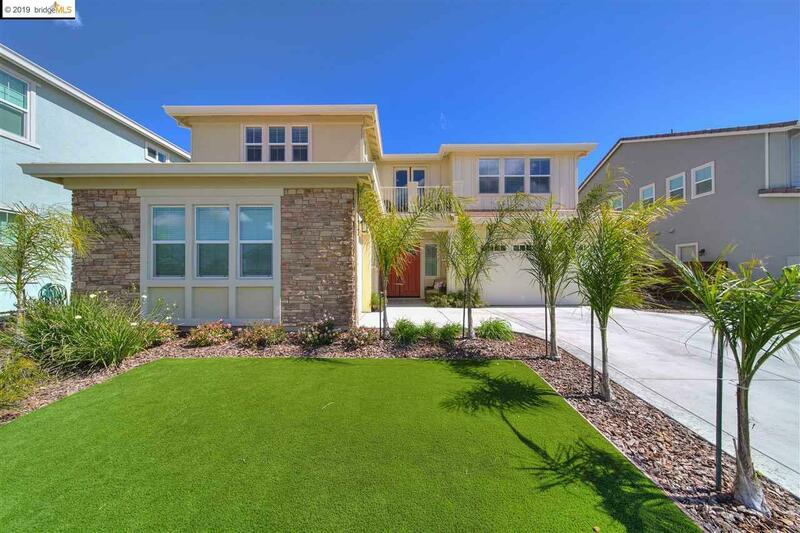 This Stunning Home is Truly One of a Kind in The Lakes Gated Community. This Newer Home Sits at the End of a Quiet Street with over $100,000 in Upgrades, Including an Entertainer's Dream Backyard! Interior Boasts 4,023 sqft, 5 bed, 4.5 baths + 3 car gar (1 bed w/en-suite bath downstairs). Contemporary Gourmet Kitchen Features SS Appliances, Granite Slab Counters, Center Island w/Eat-Up Bar, all Leading to the Large Family Room w/Stacked Glass Sliders opening to a Beautiful Backyard Oasis w/Fully Tiled Dbl California Room & over 300 sqft of Covered Outdoor Living Space! The Adjoining Game Room/Bar Area is a Wonderful Venue for Social Gatherings, Featuring a Built-In Wine Fridge, Sink, Floating Shelves & Beautiful 2-way Gas FP. Upstairs has a Private Balcony w/Dbl French Doors, Over-Sized Loft, Charming Jack & Jill bath + Laundry Rm w/Sink & Cabinets Galore. Huge Master Bath has 2 Walk-in Closets, Separate Vanities & Over-sized Shower. Steps Away from Park, Sports Field & Walking Trails!